The Bachelorette Canada was one of the greatest television achievements in Canadian history. It was equal parts drama, hilarity, campiness, and sexiness. And of course we fell in love with the titular Bachelorette, Jasmine Lorimer. 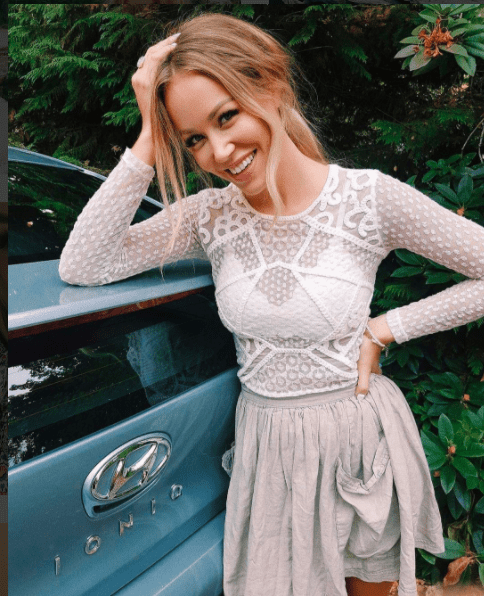 Today, the twenty-eight-year-old hair stylist from Vancouver is partnering with Hyundai to educate women about buying cars, dating, and how the process of dating is actually similar to buying a car. After speaking with her, we’ve determined Jasmine is an ideal spirit guide for single ladies in 2017. She’s chock full of golden nuggets of wisdom! If you think about the qualities you are looking for in a car, you tend to look for those same similarities in a partner. You have to be selective. You need them to be dependable, reliable. I feel more comfortable if I treat the person as a friend first. Try your best to treat it like a friendship at the very beginning so you feel like you’re being you and keep cool. I’ve learned over the past year and a half about being upfront, being honest, and sticking up for yourself. The most important thing is not to hold back. Being on the other side, I remember how much I needed that. I needed people to have the confidence and comfort to make me feel like we were actually dating each other. Catch the new season of The Bachelor Canada tonight on the W Network!